Have you ever thought of a real open sourced rival to the most popular Android OS? Now you have the exact counterpart. Independent Finnish developer announced their goal to introduce first ever Crowd Funding tablet to the market. The device will be based on the SailFish platform which was developed by same Jolla earlier. Every gadget lover on the planet has the opportunity to fund this endeavor. This is going to be a collective effort to bring in another open sourced OS that can be a threat to the market leaders. Jolla has already raised 267% of their target of $380,000 after their announcement about the campaign on Indiegogo which is a crowd funding site founded in 2008. You can of course name it as people’s tablet. How Jolla Tablet will target the pioneers Nokia and Apple is the next question. Jolla should be flawless to compete with upcoming Nokia N1 and already renowned iPad-Mini-3. Many of the people around are still unaware of the budding Sailfish OS. Sailfish OS is based on the Linux Kernel. Once Nokia decided to bring their own OS to counter the Android’s Success and they named it MeeGO and it didn’t work out because of their decision to focus on Windows based devices. Sailfish OS is made from the remains of the same MeeGo project. 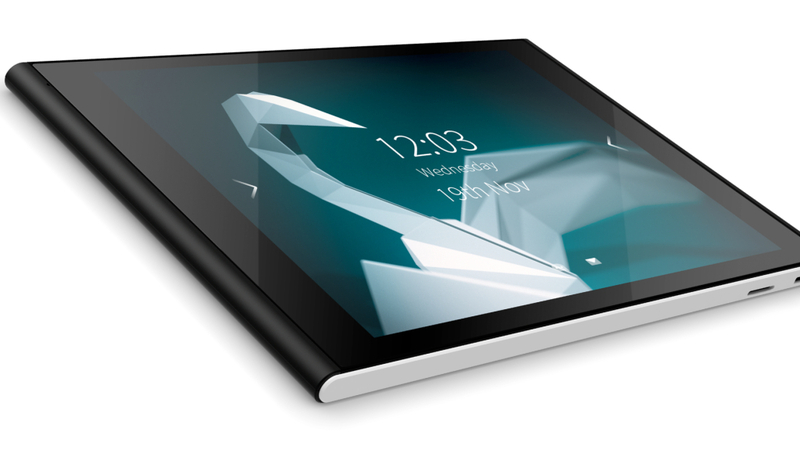 According to the Jolla, proposed tablet is too versatile, Eye-catchy and efficient. The Jolla tablet will based on Sailfish OS as mentioned earlier. Reportedly, the device will consist of 7.85-inch TFT display which supports 2048 x 1536 resolution and with a pixel density of 330ppi. You will surely experience the incredible HD display which that can match up with the costly Apple products. There will be an Intel based 1.8 GHz quad core processor. They have decided to follow the traditional way of using Atom based processors as well. The device will comprise 2GB RAM which is a decent inclusion but the best and also supports 32 GB internal storage that can be extended to another 32 GB using MicroSD options. Jolla tablet will have the latest connectivity options like 802.11a/b/g/n Wi-Fi, Bluetooth 4.0, GPS etc. with a battery type of 4.300mAh. They two batches of Jolla Tablet will be introduced to the market with a price range of $189 and $ 199. The device is expected to release in the market on May 2015. You can expect a clear contest between startup Jolla and market leaders as it is a people’s product.